In the 2014 midterm election, there were only 161,337 votes in FL-26. In the 2018 election, 235,367 citizens cast their ballots. This was an increased turnout of 46.2%, that far exceeded the increase across Florida of 38%. The difference between the FL-26 increase and that of the state as a whole was 12,800 more voters. Our target demographic was low propensity minority voters. We reached out to them in many ways: targeted texting, YouTube pre-rolls, tweets, and direct-mail postcards. Using all these approaches, we produced over 400,000 impressions. 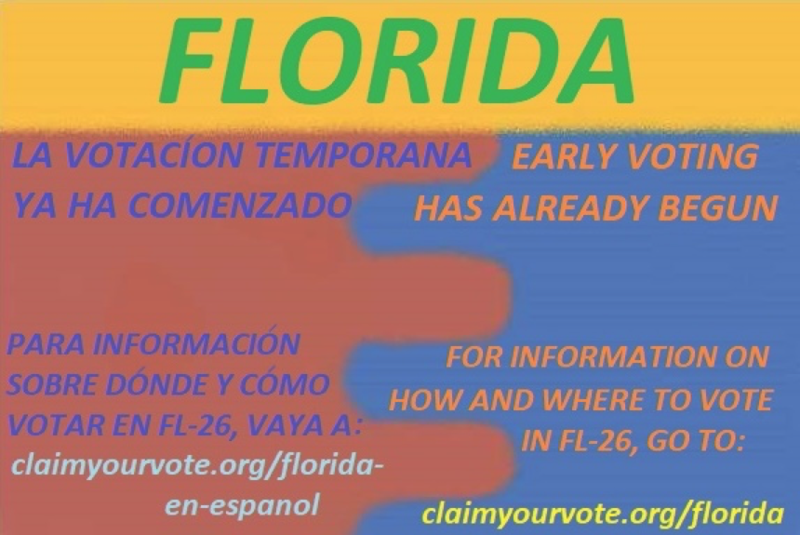 We were the only group working solely in FL-26 – and it’s clear we made a huge difference. We updated content frequently, depending on the day and what the “hottest” issue was. 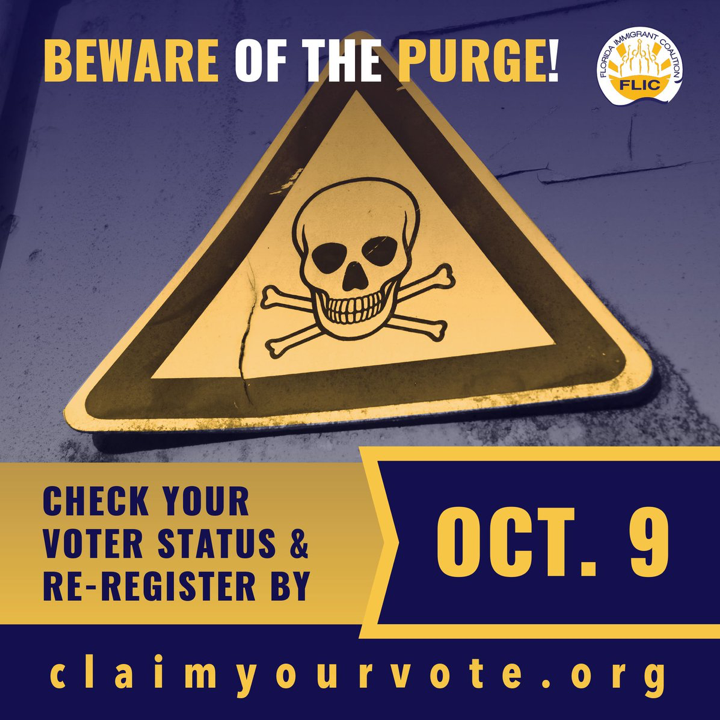 For example, prior to the October 9 registration deadline, we focused on voter registration; we then shifted to early voting; in the days immediately preceding election day, we provided content on getting out the vote. Tens of thousands of people visited the website, many of them staying on long enough to read through our entries and to take an appropriate action. 3. We partnered with FLIC, the Florida Immigrant Coalition, on a number of initiatives. Using the Voter Access Network (VAN), we assembled a target demographic which consisted of about 75,000 citizens in FL-26 who were people of color and low propensity voters. We sent this group over 100,000 texts, and over 11% (11,338) clicked through to our website. 4. We sent our videos via YouTube pre-rolls. We made over 400,000 impressions and over 25% of those viewing (100,000 people) watched the entire video. Many viewers clicked through to our website. 6. We “boosted” our Facebook page and had over 15,000 views and 2.000 likes. Another of our more prolific tweeters was quickly followed and often re-tweeted by someone with over 300,000 followers. 8. In the last week before the election, we began texting for Florida state ballot amendment 4 – to re-enfranchise citizens who had been previously convicted of felonies and completed their sentences. We sent out 50,000 texts that were designed to support Second Chances, an organization working for this initiative. Hi [name] -- Thomas here w/FLIC Votes. We believe in Second Chances. People who paid their debt to society should be able to vote. In Florida, they are denied the right to vote FOREVER. This is wrong, and you can change it -- Vote YES on amendment 4. Amendment 4 passed by over the required 60% support, and is now Florida law. Successful efforts to register the now eligible 1.4 million former felons will result in a net gain of between 40,000 and 80,000 additional votes.